The GM Hydra-Matic 9TXX 9-speed automatic transmission, internally referred to as 9TXX, was officially announced in December 2016 in conjunction with the 2017 Chevy Malibu Turbo. 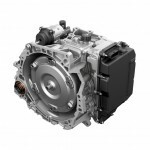 Vehicles equipped with the 9TXX transmission are expected to benefit from higher fuel economy and performance when compared to Hydra-Matic 6-speed 6TXX transmissions it will replace during its lifecycle. The Hydra-Matic 9TXX 9-speed automatic transmission is a family of 9-speed automatic transmissions with different power and torque ratings. The 9TXX transmission features several notable new technologies. The 9TXX has an on-axis design, where all the gears are in line with the crankshaft. For precise and smooth shifts, GM utilizes a specific strategy in the selection of the gearsets, clutches and torque converter. Five planetary gearsets are used with four stationary clutches and three rotating clutches, saving space compared to freewheeling designs. Gears change from second- to ninth-gear ratios with precise clutch-to-clutch shifting, where the clutch is engaged in one gear at exactly the same time it is released from another. The first-to-second upshift is a freewheeling shift. The second-gear clutch engages while the first-gear one-way clutch spins freely, contributing to greater refinement at lower vehicle speeds. 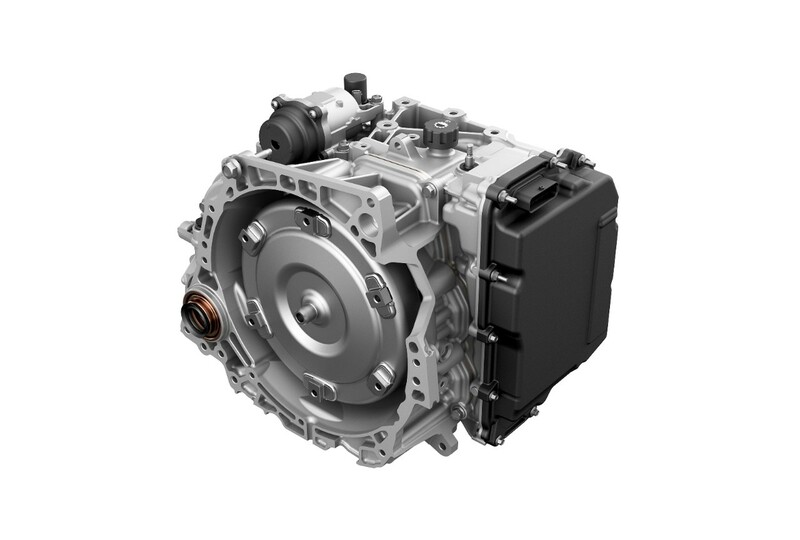 In addition, the 9TXX features GM’s first application of a Selectable One-Way clutch. Both features help reduce the package size, making it roughly the same size as a six-speed transmission. The selectable one-way clutch, which can hold torque or freewheel, depending on the desired operating mode, contributes to a smaller overall size by eliminating the need for an additional clutch pack. The feature controls the engagement of first- and reverse-gear, enabling smooth coasting in first and improves the shift feel from first- to second-gear, all while reducing mass and packaging space compared to the plate clutch pack and sprang clutch it replaces. An Active Oil Management takes up excess fluid volume in the transmission case as the oil heats and expands. The 9T50’s hydraulic system is controlled electronically to deliver the pressure and volume required for various operating temperatures for optimal efficiency. The valve body side cover acts as an internal expansion tank, holding the excess oil until it is required and then returning it to the sump when needed. The 9T50 is filled with DEXRON-VI fluid that does not require changing under normal driving conditions. It was developed for a more consistent viscosity profile, consistent shift performance in extreme conditions and less degradation over time. The 9TXX planetary-type automatic transmission employs new torque converter technology to help it deliver smooth take-off performance and additional refinement. The converter features a hyper-elliptical oval cross-section that reduces the thickness of the torque converter, keeping the overall width of the engine and transmission as narrow as possible for packaging advantages. The single-plate lock-up clutch uses GM’s electronically controlled capacity clutch (ECCC) technology to dampen engine vibrations and ensure smooth operation. Shift controls include automatic grade braking that selects a lower gear to help maintain desired vehicle speed when coasting or braking on a downgrade. This takes advantage of engine braking to help prevent unwanted acceleration and can help reduce the need to brake during a descent. The control module receives input that monitors brake pedal usage, vehicle acceleration, throttle position, grade and whether a trailer is connected to the vehicle. A unique accumulator within the new 9TXX nine-speed transmission enables virtually seamless stop/start transitions for greater refinement. The accumulator stores energy for almost imperceptible engine restarts, while GM-designed transmission software calibrated for those restarts further contributes to smooth takeoffs. GM-developed transmission control logic resides in a 32-bit transmission control module (TCM) that commands all shifting events to provide smooth and precise ratio changes. The TCM also monitors transmission performance and compensates for normal wear in components such as clutch plates so that performance remains consistent. Located outside the transmission to reduce overall packaging size, the module reduces manufacturing complexity and requires only vehicle-specific calibration to be added to the core program. The TCM also enables manual shift control and grade logic. The new GM Hydra-Matic 9-speed 9TXX automatic transmission made its debut on the 2017 Chevrolet Malibu Turbo. It will then make its way to the 2017 Chevrolet Cruze (with 1.6L turbo diesel) and 2018 Chevrolet Equinox (with 2.0T engine). From there, the 9TXX will find its way to an additional ten models by the end of 2017, according to GM. The Hydra-Matic 9TXX will be produced at GM’s powertrain production plants around the world. Specifically, the 9T50 will be produced at GM’s San Luis Potosi plant in Mexico. Compared to the 6TXX it replaces, the 9TXX is just 10 kilograms (about 22 pounds) heavier, despite containing an additional planetary gearset and all associated equipment such as solenoids, valves, etc. GM says that the packaging is roughly the same size, meaning that it can be deployed pretty much wherever the 6-speed 6TXX is currently in use. The additional ratios in the 9TXX mean that it’s better able to match the engine with an appropriate forward gear that optimizes its operation, whether the driver wants to stay within the power band or keep RPM low for efficiency. The unit also has a wider ratio spread than GM’s 6-speed transverse automatic – 7.6:1 versus 6.0:1 – with two overdrive ratios as opposed to just one.